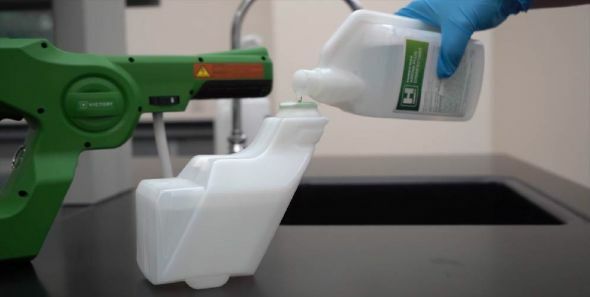 Joining the suite of fast acting chemicals compatible with the Check Mate Electrostatic Cleaning System are two new disinfectants. 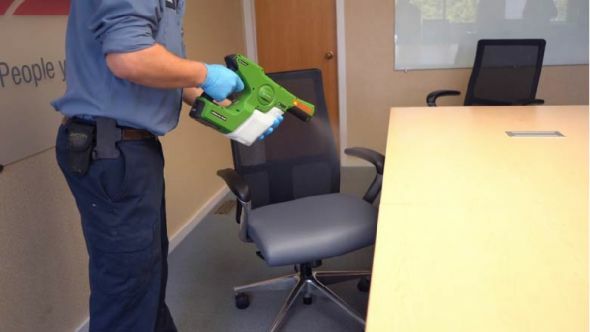 Husky 824 Quick Care Disinfectant and Husky 892 Arena Plus Disinfectant incorporate the latest in disinfection technology and effectively eradicate bacteria, viruses and fungi from a variety of surfaces. Both Husky Arena Plus and Husky Quick Care are concentrated formulas packaged in an easy-to-use, squeeze and pour bottle. This design promotes proper dilution into the Check Mate System while keeping costs low to ensure every day, economical use. Using the Check Mate System with either Quick Care or Arena Plus allows users to disinfect large surface areas in a much shorter time.